Isn't this an awesome picture? 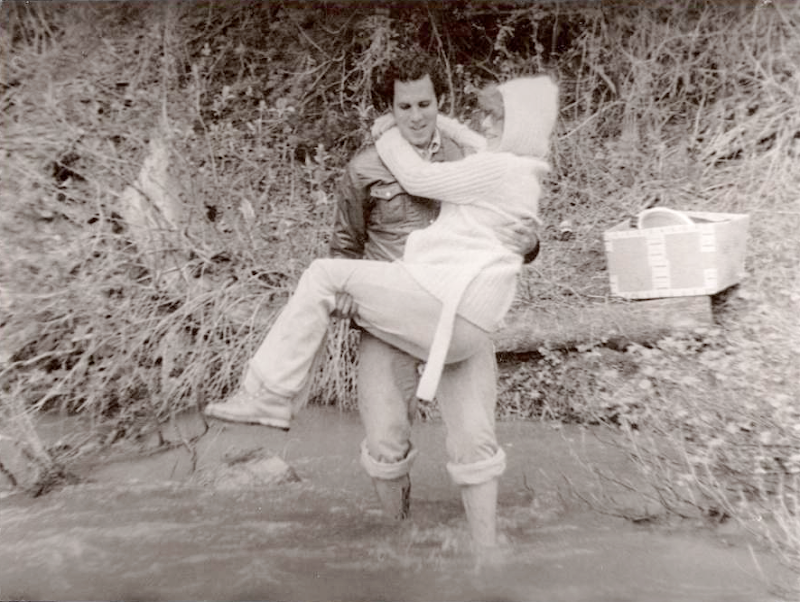 It's my dad carrying my pregnant mom across a river/stream while they were out on a hike/picnic back in the 70's. Mom, let me know if I missed any of the details. That looks like a picture from the movies!! It's definitely a great picture. Yes, you have it right and you were the baby I was carrying. Alan W. took the picture.